The Huawei Nova Plus is a classy large-screen Android phone with a number of fine attributes and few outright flaws – however it's easy to see it getting lost in a highly competitive Android mid-range field. With a price of €499 (around £420 / $550 / AU$740), this isn't quite the top-value contender it could have been. In fact, as the Nova Plus hits the shops it's in real danger of seeming expensive. For around £100 less you can buy a OnePlus 3 or a Vodafone Smart Platinum 7, both of which boast faster processors, more vibrant displays, and better UIs. But it would be wrong to dismiss the Huawei Nova Prime out of hand, because it's such a pleasant phone to live with day to day. Evidently still buzzing from the success of the Nexus 6P, Huawei has created a confident, composed, supremely balanced handset. Just as its pricing makes us cast a glance below at its cheaper rivals, so the overall positive experience of using the Nova Plus causes us to look accusingly at those so-called 'premium' phones positioned above it on the price ladder. 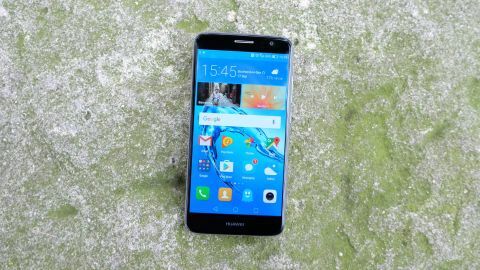 The Huawei Nova Plus is more notable for its lack of glaring weaknesses than for any outstanding features. It's almost the quintessential modern upper-mid-range smartphone, and a strong example of how mature the market is these days. We're not talking about some carelessly constructed box-ticking exercise here, but rather a phone that genuinely feels equal to – and maybe even slightly better than – the sum of its parts. This slightly intangible quality is a sign that Huawei belongs among the world's elite smartphone makers. But we deal in tangibles here on TechRadar, so let's list some of the key things that impressed us about the Nova Plus. The phone's design, feel and proportions are just right. It sits in the hand as comfortably and assuredly as a phone that sells for £120 / $150 more. It's also got a truly excellent fingerprint sensor. You might find it difficult to put your finger on what makes a great fingerprint sensor (ha! ), but you certainly know it when you use a bad one. I came to the Huawei Nova Plus from using the Bush E3X Spira; both phones have their fingerprint sensor in the same position on the back of the phone, but the difference in performance is like night and day – although it should be noted that the E3X Spira is half the price of the Huawei. Whenever I pick up the Huawei and locate the sensor – which is easy to do because it's been sized and recessed just the right amount – it unlocks, almost without fail. It's not the quickest fingerprint unlock system out there, possibly down to the phone's mid-range CPU, but it's extremely reliable. The Bush phone, in contrast, frequently rejects your initial attempts to unlock it, to the point where you soon start heading straight for the standard pin entry system by default. That overarching sense of reliability and solidity carries through to the Nova Plus's battery life, which can carry you through a good two days of light-to-moderate usage – more on that later. It's a real trooper. It's no longer notable when an Android phone comes along with an all-metal unibody design, but the Huawei Nova Plus is no less impressive for the fact. Not in an ostentatious way, you understand. The Nova Plus won't wow anyone coming from a Samsung Galaxy S7 Edge or an HTC 10 – there's nothing so iconic as the former's curvy edges or the latter's angled rear. But the Nova Plus's fit and finish is definitely in the vicinity of such standard-bearers, excepting the slightly naff plastic antenna panels on the top and bottom portions of the phone's rear. Its subtly rounded sides and familiar bevelled edges sit well in the hand and stand up to close scrutiny, while its 7.3mm thickness and 160g weight draw parallels with the OnePlus 3. In common with all three of its aforementioned rivals, the Huawei Nova Plus's main camera is positioned in the middle of the body, near the top, so your fingers shouldn't get in the way no matter which way you hold it up. The phone's power button falls naturally under your right thumb, and its tiny concentric circle ridges help your finger to distinguish it from the smooth, elongated volume rocker just above it. There's a 3.5mm headphone jack on top (a feature that's suddenly worth mentioning again in this post-iPhone 7 world), while on the bottom you'll find a reversible USB Type-C port for charging and hooking up to a PC, if manual data transfer is still your thing. Talking of data, the Nova Plus comes with 32GB of internal storage and a microSD slot for expansion, which is about par for the course for a upper-class Android phone these days. I didn't mention it as a 'key' feature in the previous section, but the Huawei Nova Plus's 5.5-inch IPS LCD display really is a quality component. It's 'only' 1080p, but hopefully we've all come to accept by now that QHD is far from essential when weighing up a top notch smartphone. Outside of VR, the benefits of such a pixel-dense (401ppi) display are pretty negligible. Indeed, the Nova Plus's display specs are pretty much identical to those of the iPhone 7 Plus and the OnePlus 3 – and few would argue that those screens aren't up to scratch. The Huawei display gets the essentials right. It's sharp enough, it's reasonably bright, and the colours are accurate and vibrant (for an LCD). Games, videos, and photos look great on it.